LONDON - Nissan Motor Co’s decision to back out of its planned investment in its Sunderland plant has (surprise!) divided opinion in Britain along pro- and anti-Brexit lines. “It’s not you, it’s me” was the message Leavers read into Nissan’s statement. It wasn’t meant to be, they shrug. And, anyhow, Nissan is sticking around to make other models in Sunderland. Those worried that Brexit is making Britain uninvestible focused on Nissan’s understated admission that “the continued uncertainty around the United Kingdom’s future relationship with the European Union is not helping companies like ours to plan the future.” The message they heard: “You Brits don’t know what you want, so we’re out of here.” And they’re probably right: This is a sign of more to come. Of course, Nissan had plenty of other reasons to abandon plans to make a diesel model of its X-Trail sports utility vehicle in Sunderland. Take your pick: The collapse in diesel demand, changes to emissions regulations, a slowdown in China, its own corporate dramas and a flattening European market. 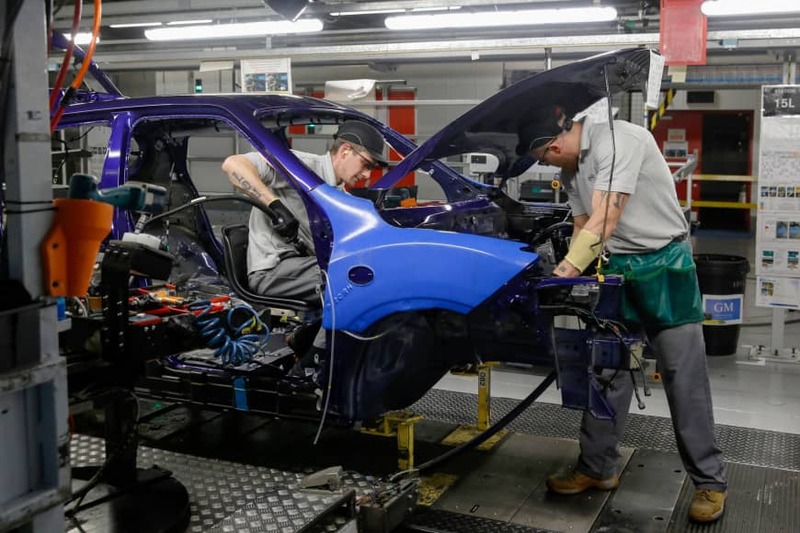 But to exclude Brexit from that list would be to ignore the broader 46.5 percent decline in 2018 in investment in the U.K. auto sector and the general slowdown in spending across other parts of the economy. It’s not as if Prime Minister Theresa May’s government didn’t do its utmost to keep Nissan happy. According to a previously undisclosed letter seen by the Financial Times, it promised to make car manufacturers a “critical priority of our negotiation.” Nissan probably doubts that the U.K. government can honor that pledge. Back in 2016, May’s government was celebrating as it persuaded Nissan to stick to its commitment to the country. An £80 million state support package was a nice sweetener for the Sunderland plant, which employs 7,000 people. Leavers tweeted jubilantly that this proved Brexit wasn’t an investment-killer. In fairness to the Brexiters, the car industry’s changing backdrop explains in part why that now looks like wishful thinking. Consumers have soured on diesel cars after the 2015 Volkswagen emissions scandal. Diesel sales now make up less than 30 percent of the total U.K. car market; it was 42 percent in 2017. Diesels will be banned for sale in Britain after 2040. And Nissan has been struggling in the EU, where it sends most of its U.K.-made cars. Its European sales fell 14 percent in 2018, while its plans were further complicated by stringent EU emissions rules. Nissan might have produced a gasoline version of the X-Trail in Sunderland, but that would have meant importing the engines from Japan, an expensive prospect. The endless wrangling around Brexit and the threat of a “no-deal” departure will certainly have made its decision easier, though. And it’s that point that will trouble many of May’s ministers. For a Conservative government that has promised to use Brexit to address the economic discontent that contributed to the 2016 vote and to build a “global Britain” that attracts investors, the optics are terrible. It’s impossible to say that Nissan’s move won’t be followed by more cutbacks in a sector that comprises 12 percent of U.K. goods exports. EU tariffs are generally low (about 2-3 percent of the value of most goods), but they’re 9.7 percent for cars on average. 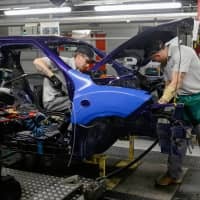 Leaving the EU without a deal would bring about a more than 20 percent drop in gross value added (a measure of output analogous to gross domestic product) for the local autos industry, according to government analysis. It’s a different story for Japan. On Feb. 1, the EU-Japan Economic Partnership Agreement entered into force, which cuts EU tariffs on car imports from the country to zero by 2027. After Prime Minister Shinzo Abe met May in London in January, he headed straight to the Netherlands, whose port of Rotterdam is a major gateway for Japanese firms exporting into the EU. None of this looks especially cheering for a post-Brexit U.K., unless it ends up with a softer departure with good access to the EU’s single market. Many voters shrug when a big bank says it’s moving assets or high-paid staff to Dublin or Luxembourg. But manufacturing is tangible and emotional; and it represents jobs in parts of the country where income is lower than the national average and the vote to leave was often higher. The investment picture for the U.K. car industry is bleak enough already. Toyota’s £240 million upgrade to its Burnaston plant and 2018 decision to produce the next-generation Auris hatchback in Britain created much excitement, but it wouldn’t be a huge surprise if the company ever revisited its plans under changing circumstances. The wider picture is troubling too. A new survey by Deloitte of 110 executives in some of the U.K.’s biggest businesses found that 78 percent expected the business environment to deteriorate in the long-term. As a result, capital expenditure and hiring is out; cost-cutting is in. No wonder some voters are having second thoughts about the wisdom of leaving. Even if Nissan’s decision was 70 percent market conditions and 30 percent Brexit, every factor counts when companies are making spending decisions of this scale. The deeper reality is that Brexit is a change in investment climate, not just the weather.